For families seeking room to grow, the Dockside Grand stands out. Downstairs flex rooms conjure up possibilities: up to five bedrooms total. A large Drop Zone opens to a seamlessly connected kitchen, gathering area, and dining room. The extra garage bay allows for a third car or ample storage. The second floor provides two more bedrooms and a huge loft. 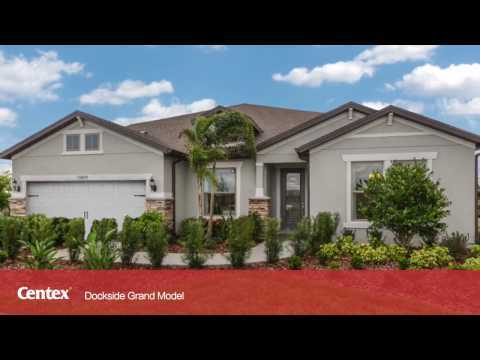 Step inside Dockside Grand to see the Life-Tested Home Designs® with more usable space where you want it most. So you live the way you want to live. The Dockside Grand is a wonderfully flexible floor plan that meets the needs of growing families. The spacious gathering room on the main level flows seamlessly into an open kitchen, which features beautiful birch cabinets and granite countertops. A large dining room offers space for larger, more formal gatherings.